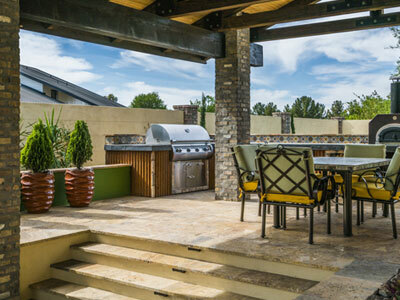 Designing your outdoor kitchen may seem like a daunting task. 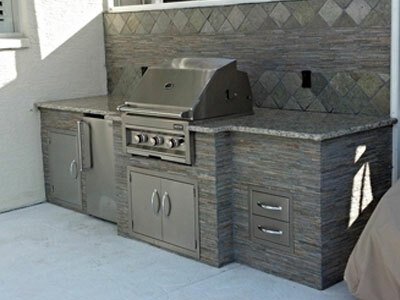 The are so many shapes, styles, and kitchen components to choose from it may seem overwhelming. 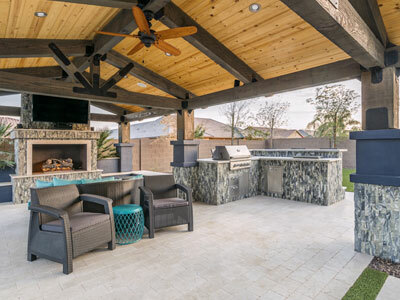 In an effort to help you understand the different components that go into building an outdoor kitchen, we put together this design idea guide. 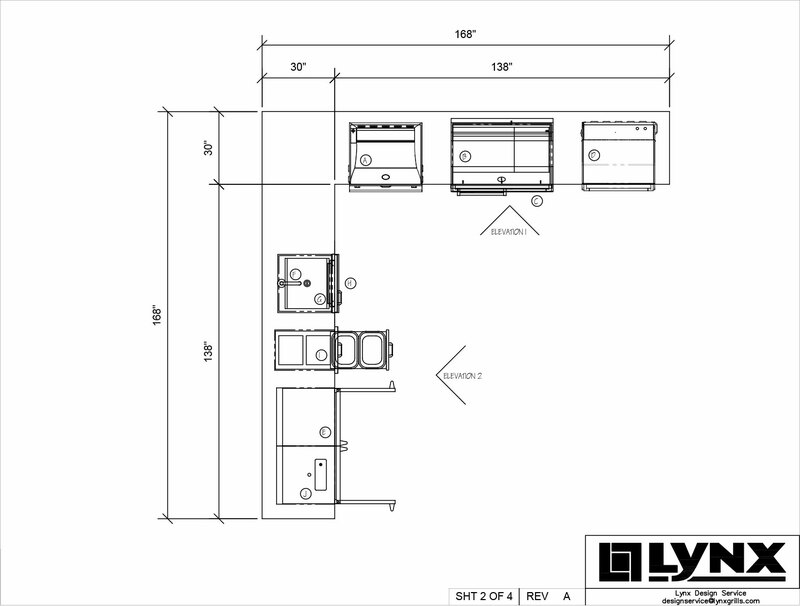 We have broken the kitchens into 5 sizes, one of which is likely to be similar component wise to what you have in mind. Also included is info about wood fired pizza ovens. 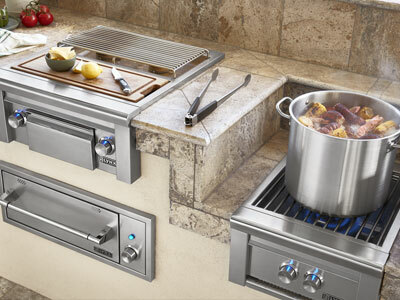 These seem to be growing in popularity and can be added to any kitchen. 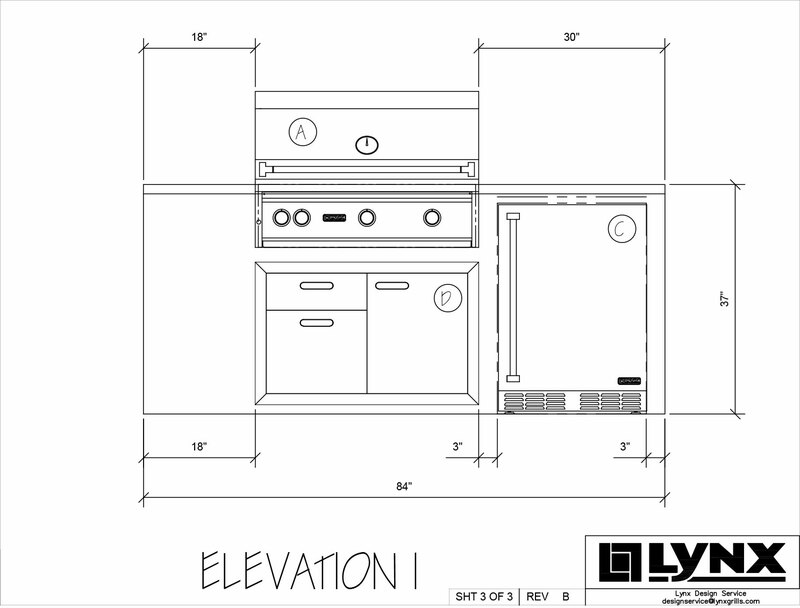 The Design Team from Lynx helped us build out these blueprints and ideas for your BBQ ISLAND. 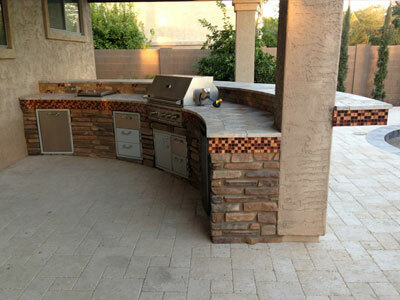 Some people choose to construct their BBQ Islands out of cinder blocks and others use steel studs. Both have their merits. 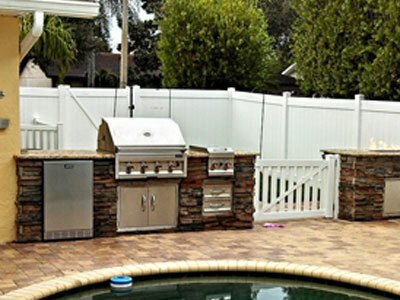 If your island has curves in it then cinder block is the way to go. 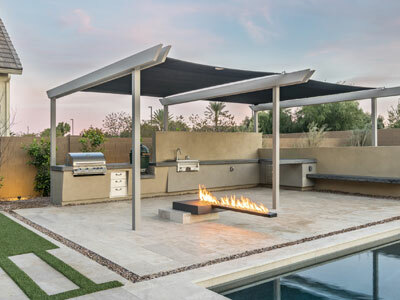 If you are trying to maximize internal storage space, steel studs are the best choice. 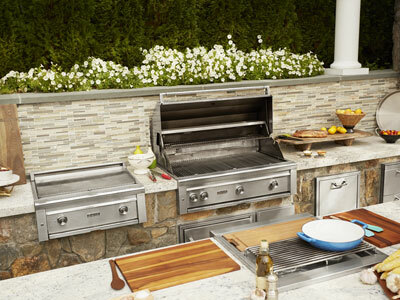 The main thing to remember is that the spacing of your components is critical to your BBQ island's usefulness. 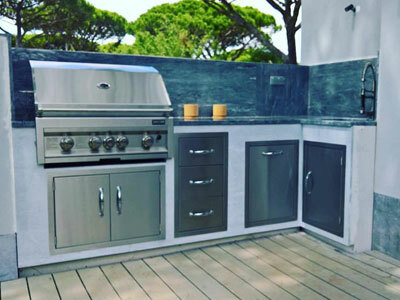 As long as you are purchasing medium to high end cooking components, the spacing of the equipment is probably more important than the actual components. If you can't set a plate down next to your grill, you will be unhappy with the finished product. 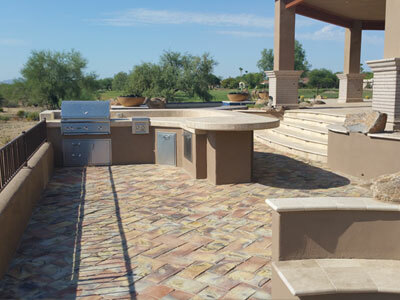 Check out our Complete BBQ Islands for additional design ideas. 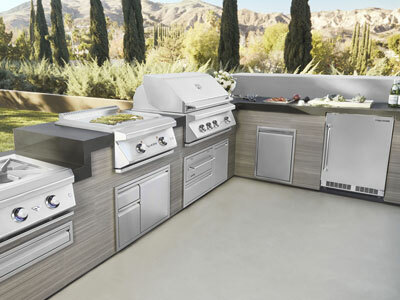 A 5' wide BBQ Island is as small as you can go and still have it be functional. 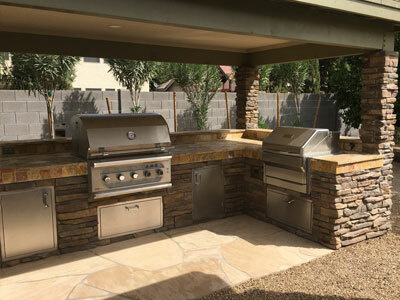 This is a basic setup for someone just starting and does not grill as often. 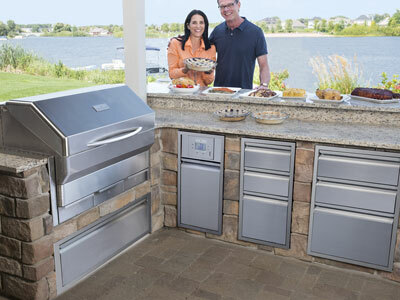 As mentioned earlier, this shows the grill and access doors/drawers centered but a lot of people do like to off center for more work-space on one of the sides. 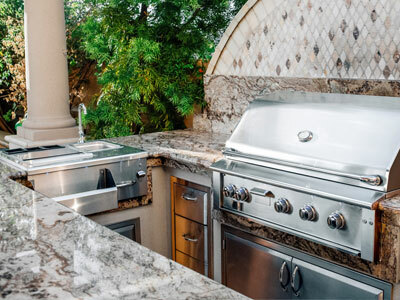 Increasing the width of your BBQ Island will allow you to add a second component to the island comfortably. 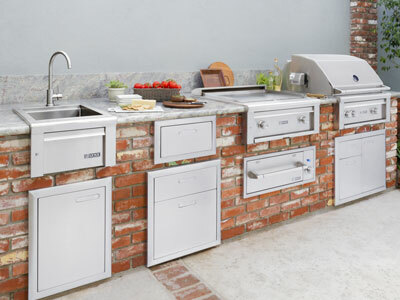 This can be anything from side burners, power burners, refrigerators, drop in coolers, sinks, and much more. Just keep in mind that as you start adding more island components you still want to keep some counter-space available. 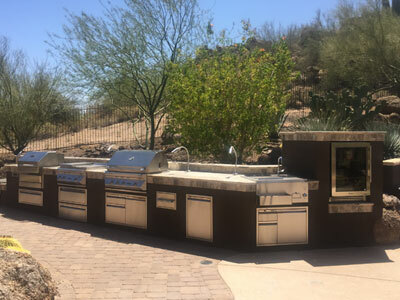 With more equipment also means your island might require more, such as a sink will require some drainage, a refrigerator will require more electrical wiring, and so forth. This is where the real fun starts! 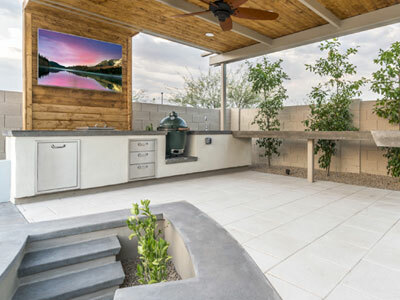 An 8 foot island gives you plenty of comfort space to really make your island custom to the way you cook and what is important to you. 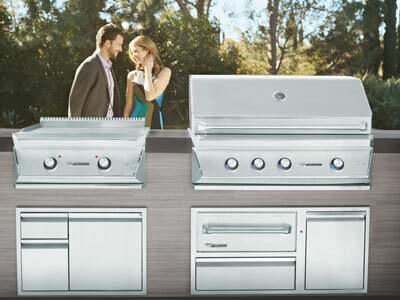 We have also seen 8 foot designs with the BBQ grill on one side and the the Kitchen Components filling up the rest. Much more options are available with an 8 foot island so be prepared to start doing some research! 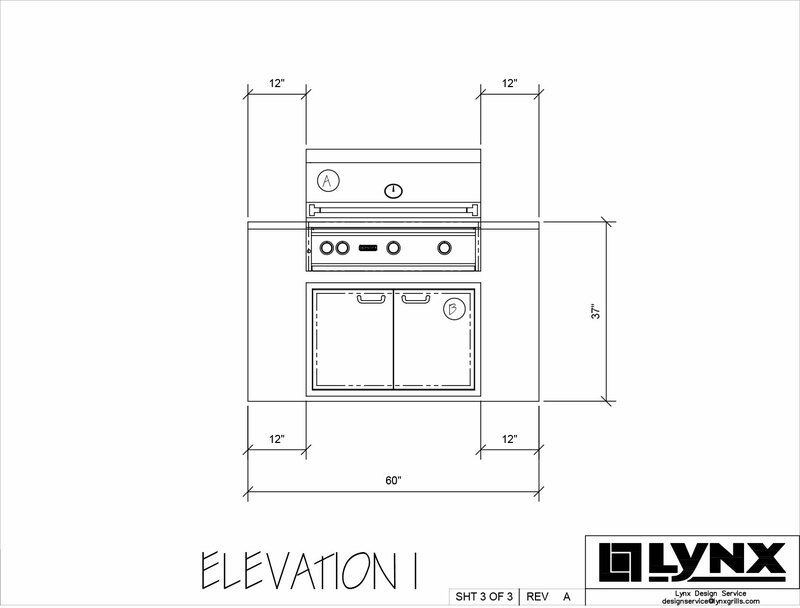 Increasing the width of your BBQ island to 10' gives you some options that you simply don't have with smaller units. 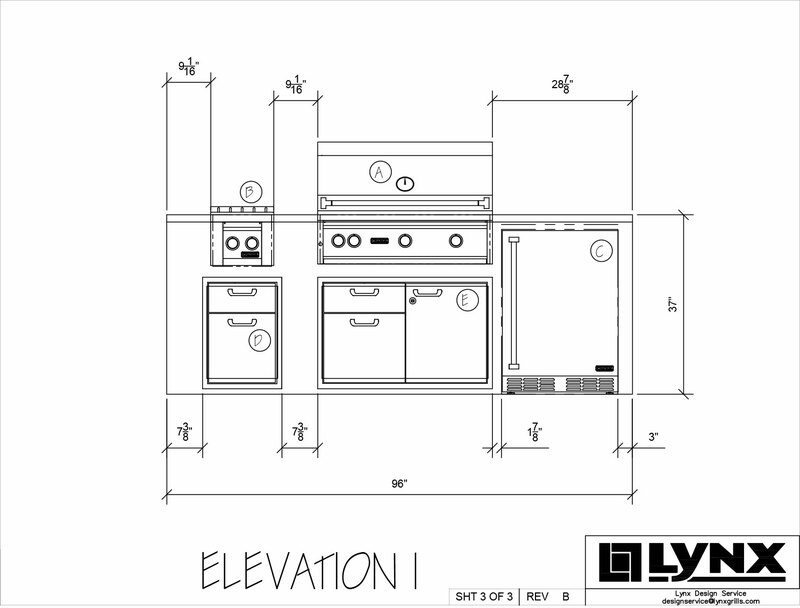 This is where the dreams of griddles, kamado smokers, and built in bars start to become a reality! This is one of the largest in width that we recommend before going into an L-Shape. 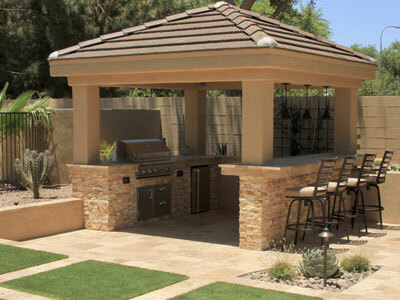 It has more than enough room for all the practical needs of an island as well as a few fun features. 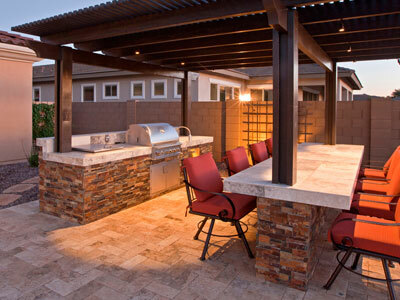 This island design allows you to fully immerse yourself in BBQ and Outdoor Kitchen comfort and lifestyle. 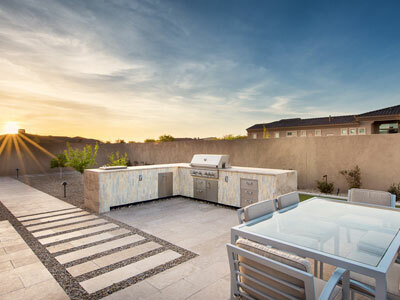 This is for someone who entertains guests and loves to spend most of their time in the backyard enjoying the weather! The options here are almost endless as to what components and what variations to put them in. 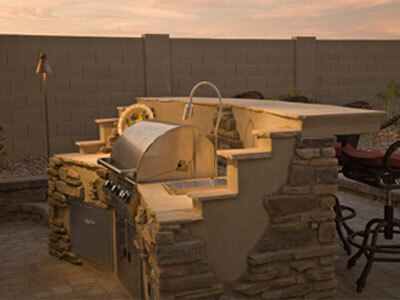 We recommend the 14 foot island for built in pizza oven designs since there is much more surface area. 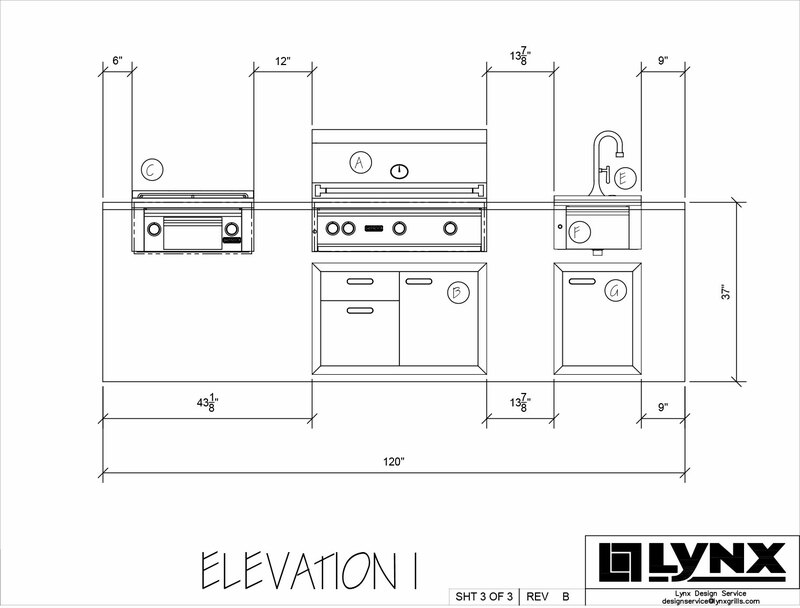 It adds a great ambiance which is what you are looking to make with the L-Shaped Island.